Many are worried that our concepts of resilience, city planning and urban regeneration are very male oriented and city futures worldviews patriarchal. 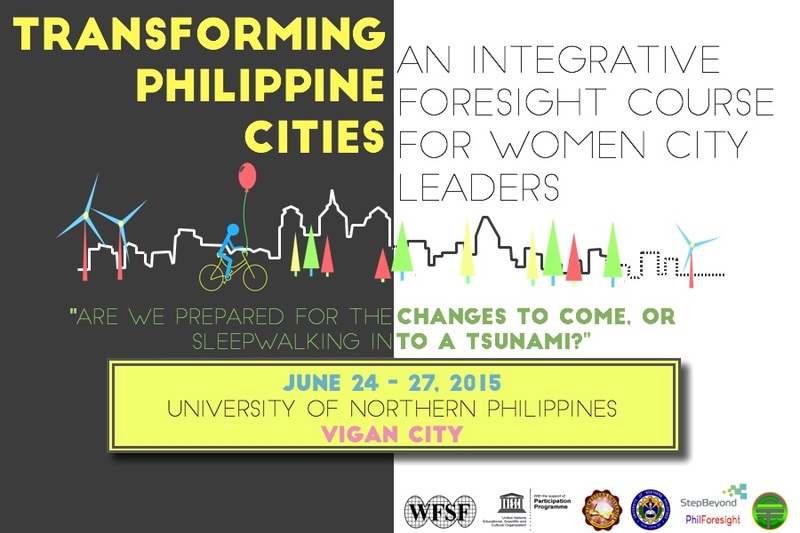 So what would Philippine cities look like if they were designed by women? Will we have massive towers and bridges or will we have more sites or spaces and priorities that are child friendly, safe for mother and babies and gender sensitive? At a macro level, what would our streets, communities, priorities and neighborhood look like in a women imagined alternative city futures? What might be their preferences? What myth and narratives of resilience, planning and design could surface when the future of our cities are re-imagined and reconstructed by women? What elements of current planning should change? 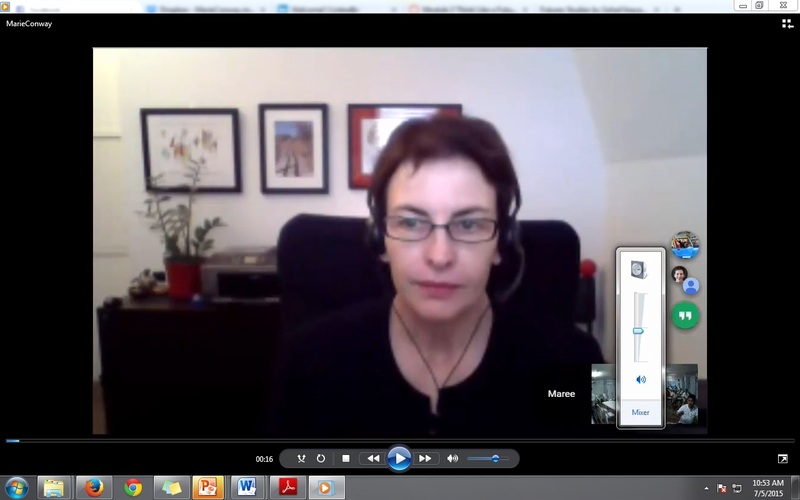 What are the influencers and drivers of a women driven city futures? 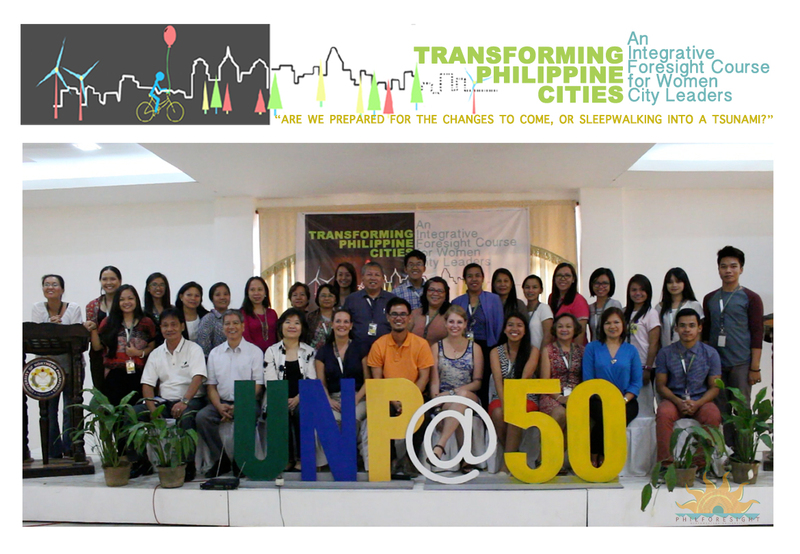 The Philippine Center for Foresight Education and Innovation Research (PhilForesight) of Northwestern University in collaboration with the World Futures Studies Federation and the UNSECO Participation Programme, Step Beyond Australia and the Center for Engaged Foresight held a two-day workshop entitled Transforming Philippine Cities: An Integrative Foresight Course for Women City Leaders, hosted by University of the Philippines (UNP) in Vigan City, Ilocos Norte, last June 26-27. 41 participants, mostly women, from local and national government agencies (LGUs, NEDA) as well as CSOs (Civil Service Organizations) and from the Academe attended the course. The futures course is one of the key events of the University of Northern Philippines 50th founding anniversary celebration. 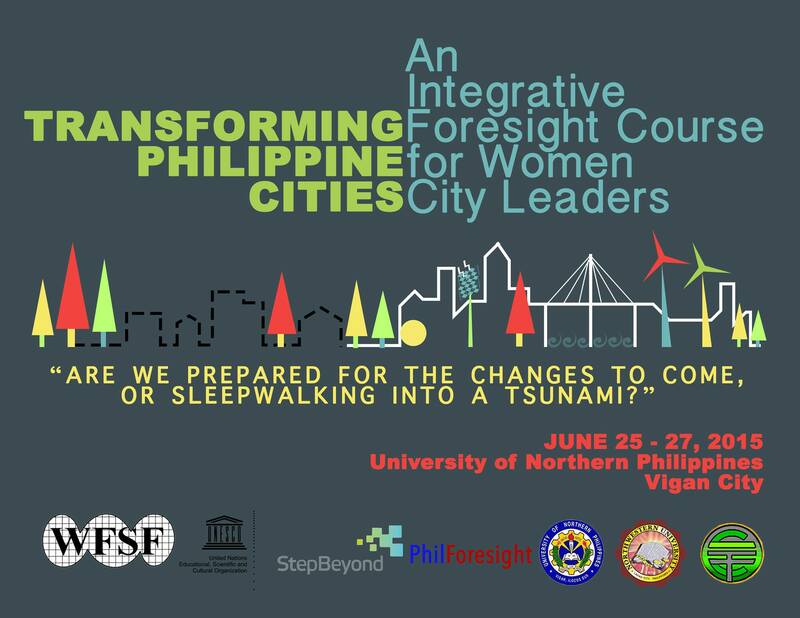 The workshop on integrating strategic foresight and foresight thinking into women city leaders was co-facilitated by Dr. Mei Mei Song of Tamkang University in Taiwan, Janelle Marr, director of Step Beyond based in Australia, Cesar Villanueva of World Futures Studies Federation (WFSF), Shermon Cruz, Director of PhilForesight and Ariana Lutterman of the University of North Carolina. Photo credit to Ms. Alyanna Andre. 2015. 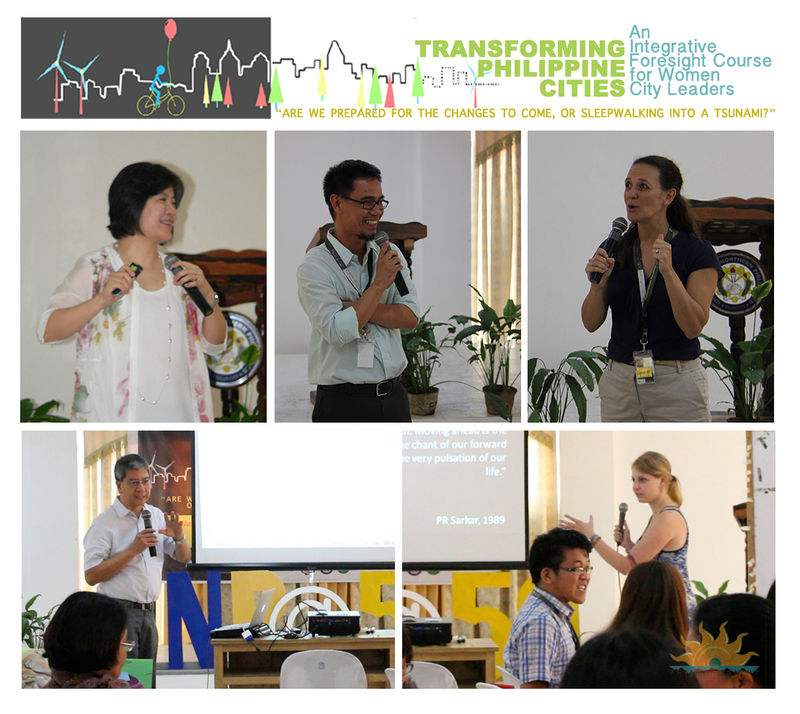 Facilitators gave lectures and action learning workshops on various futures and strategic foresight tools to explore alternative and preferred Philippine city futures. This futures thinking and strategic foresight capacity building exercise was organized to introduce the emerging field of foresight and futures studies, generate new questions and concepts informed by women perspectives for city futures, public policy, strategic planning and governance. It is one of the five World Futures Studies Federation, a UNESCO and UN consultative partner, locally supported learning labs for the Global South. Futures studies and foresight courses were also held in Mexico, Haiti, Malaysia and Democratic Republic of Congo. One of the participants exclaimed that “This is my first time to hear about futures studies and I have developed a deeper appreciation of the field and that it is good to know that there is also a different approach to city planning.” Various sectors expounded their commitment to integrate futures thinking into their respective fields, cities and organizations while also looking forward for further partnerships to advance futures literacy and foresight integration in city governance. This is what you get when you have 90% percent women participants in a city futures course. You get to have a lot of provocative ideas and fearless future imaginings, seeds and wildcards like: a compassionate food festival (current food fest promotes consumerism and current practice is really unsustainable – wiser to have a values, health, zero and pollution waste, future-generations, water and child friendly food fest and events); zero child labor futures (cities should continue investing on child education – introduce appreciative intelligence and creativities); challenge patriarchal culture, values and patterns (question worldviews that sees women as sexual objects); mainstream the views and voices of the voiceless – elders, the indigenous and the unborn; inclusion, rights and fair treatment should inform Filipino labor futures; increase people’s access to organic products; design a more nurturing and nourishing cities in more green and open spaces – TREES or FOREST as play areas; vibrant neighborhoods (garden neighborhoods as the heart of cities), car-less, civil society oriented, refined, soft and sensitive, more inclusive and more caring sustainable cities as well as telekinetic enabled robotic techs enhancing local creativities and farmers generating renewable wealth (food and water) and more! Brief report written by Michael Barreiro and Shermon Cruz. Photo credits to Angel Hernando. To paraphrase a brainy quote from the great Yogi Berra, the future isn’t what it used to be and the setting in which the country operates is shifting rapidly at the local and global levels. The direction, shape and provision of higher education, learning, research, industry demands, workplace settings and society will be very different from what we see today. 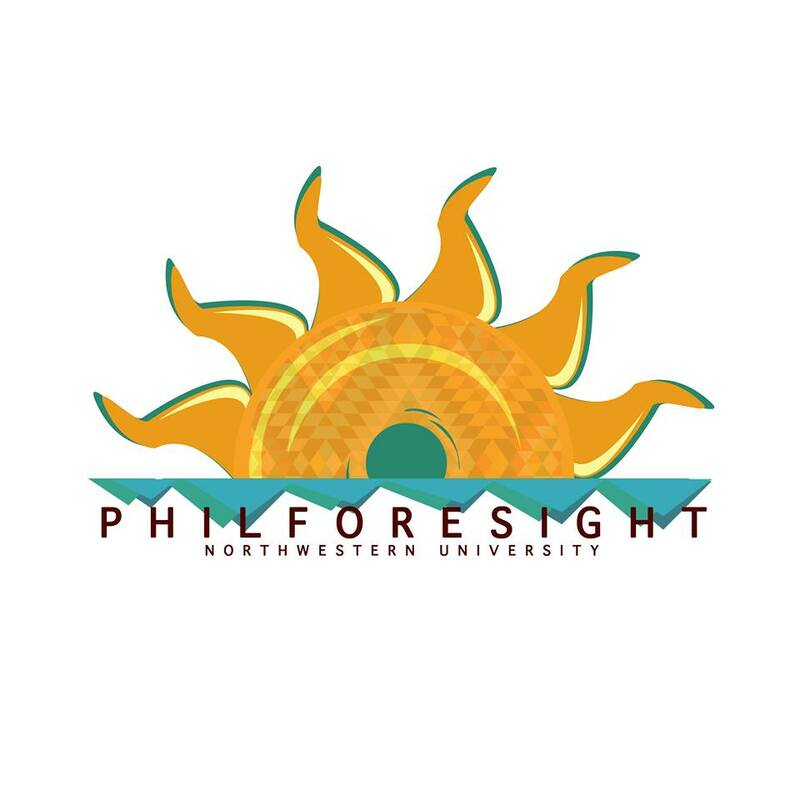 Roughly three to four months ago, the board of directors of Northwestern University (NWU) Laoag approved the creation of the Philippine Center for Foresight Education and Innovation Research (PhilForesight). PhilForesight was establish to advance forward knowledge, futures awareness, education and research and the application of futures studies and strategic foresight in the Philippines. 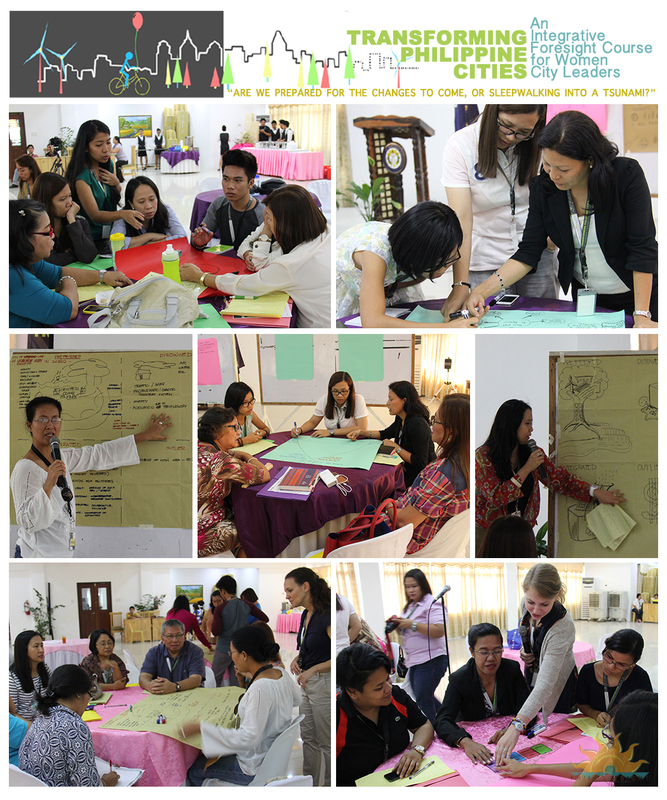 The idea to establish a center dedicated to futures studies and foresight was conceived in one of many after conference conversations we’ve had at the UNESCO Laoag futures literacy knowledge lab forum-workshop. 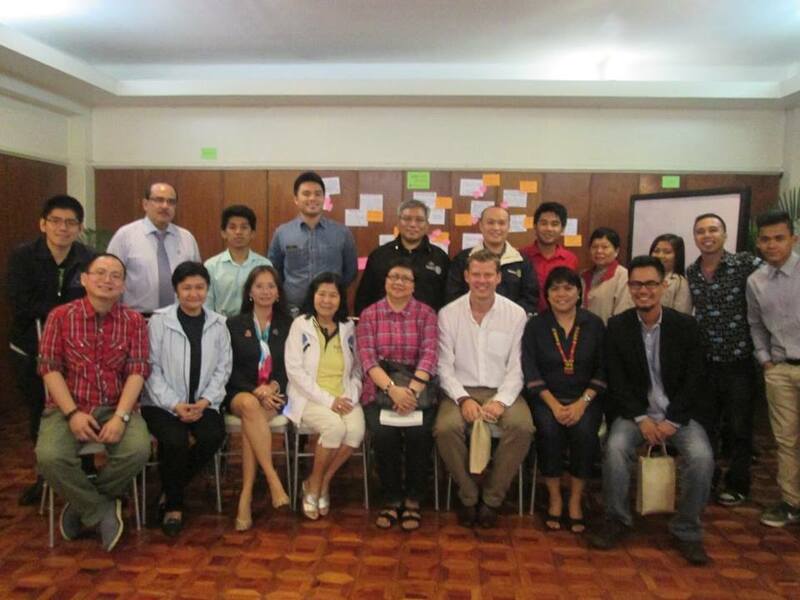 As a forerunner of futures studies and strategic foresight in the Philippines, the PhilForesight is a hub for futures and strategic foresight teaching (theories, knowledge, content), research (method), innovation and action-learning (applied). Philforesight aims to advance futures studies and strategic foresight on a social and wider scale. Northwestern University through the University Center for Research and Development (UCRD) took a case study approach to create and shape the operating design and framework of the PhilForesight center. NWU took note and learned much from real life and learning by acting examples, skype and email conversations and engagements with six of the top futures and foresight institutes and international organizations in the world – the Hawaii Research Institute of Futures Studies at the University of Hawaii, the Graduate institute of Futures Studies at Tamkang University Taiwan, the Center for Engaged Foresight, the UNESCO Chair in Anticipatory Systems at the University of Trento, Italy, the UNESCO HQ Foresight Section and the World Futures Studies Federation. Also, last summer, Northwestern University via its institutional planning office and Philforesight funded and organized a six days foresight driven strategic planning forum-workshop for its middle and senior level managers and supervisors to explore and create the university’s alternative and preferred futures and to identify emerging opportunities or to borrow UNESCO’s context, “great opportunities” ahead. NWU hopes to share its learning by doing experiences on how foresight drives and informs Northwestern University’s strategic and scenario plans, human resource, organizational development, leadership and decision-making. 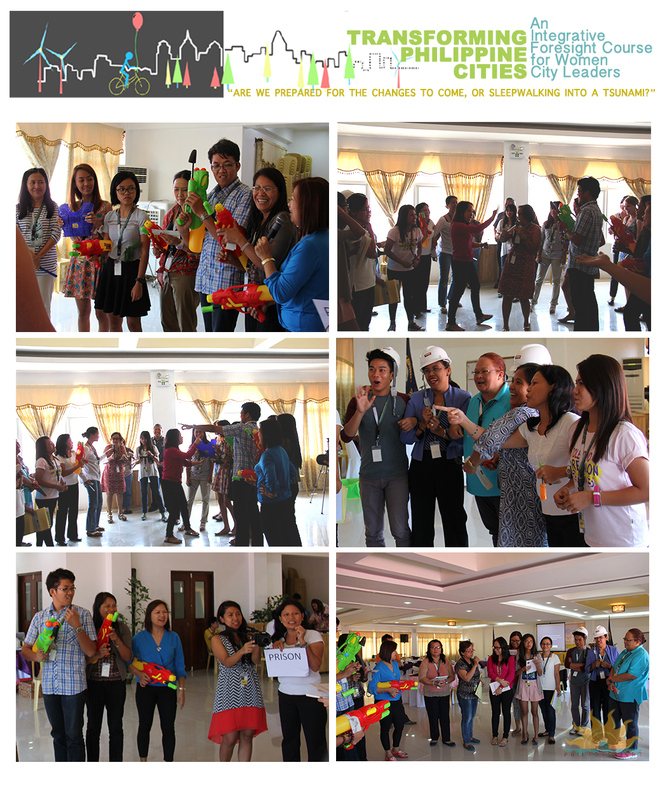 This month, PhilForesight in partnership with the World Futures Studies Federation, Step Beyond and the University of Northern Philippines hosted and organized the WFSF’s Learning Lab project on futures literacy for women city leaders in Vigan City and in partnership with the Rotary Club of Manila, the future agenda forum on the future of food and water. Future of Food and Water and the World in 2025. 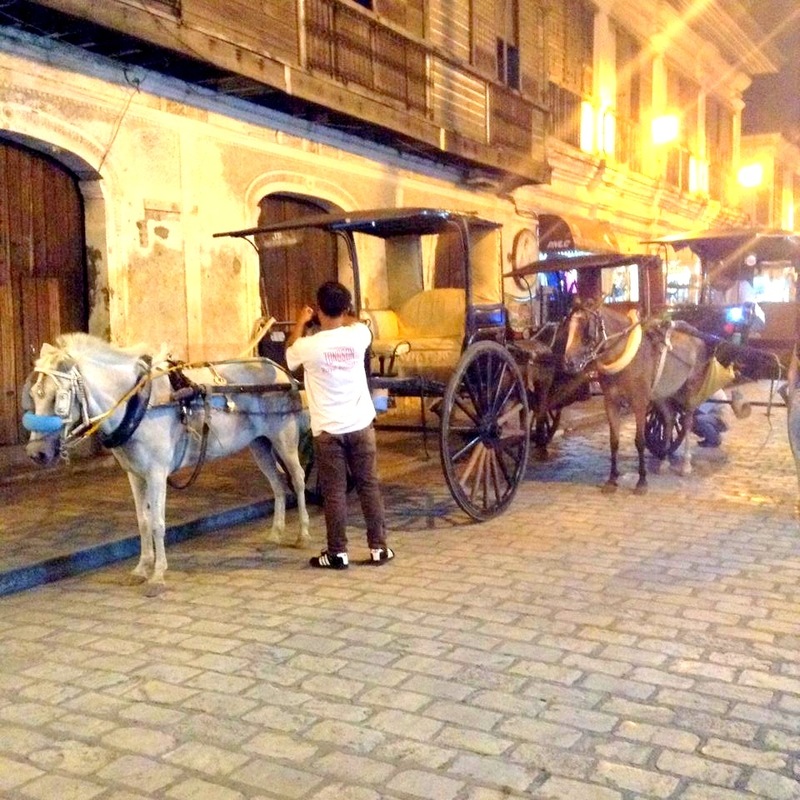 Casino De Espanol De Manila. Future Agenda 2.0. 2015. PhilForesight at the Asia Pacific Foresight Network Conference at Tamkang University, Taiwan. 2015. In a nutshell, PhilForesight’s objectives and services are: 1. To contribute to the global effort of creating spaces and opportunities for futures thinking, education, networking, leadership and development – theory and applied; 2. Offer futures thinking courses (for NWU students and its communities), workshops and events and activities and opportunities for internships – international and local; 3. Become a knowledge incubator and build partnerships with the private sector, industry, government, international organizations, think tanks, super-empowered individuals, futurists among others. The goal of any organization is to empower, PhilForesight provides avenues to capacitate individuals and organizations to develop alternative and innovative ways to create their preferred future. Here is the preview of the paper.